And just like that, we are at the end of August. I know I said it earlier this week, but this month has flown by. But I am very excited about this weekend and September. We have our first Nevada football home game, trying to buy a new couch, going shopping for London and the beach. I say this weekend will be a good one. ONE. On Wednesday, I mentioned that I bought a hemp tank and it came with a tree medallion. I registered my code on their website and my ten trees are planted in Senegal and they are fruit trees. How cool is that? TWO. A while ago, I mentioned some bathing suits that I really wanted from the line Andie Swim. Caitlin bought a bikini and a one piece (she may have more) and posted them on her IG stories. When I saw the fit, I knew I wanted one. But the price. Ugh. So I waited and then finally bought one. Plus I had to wait for the top to come back in stock in my size. I wore this all last week in Graeagle and plan to wear it to the beach this weekend. These bikinis and one pieces are amazing. They have better coverage (especially for us moms), are made with quality material and are super cute. This isn't a sponsored post....I just love my new bathing suit. I will be buying another one next year. THREE. The girls started ballet and tap class last weekend and they loved it. We had purchased everything ahead of time except the tap shoes. I didn't even think about it and the lady at the store didn't even mention it either. 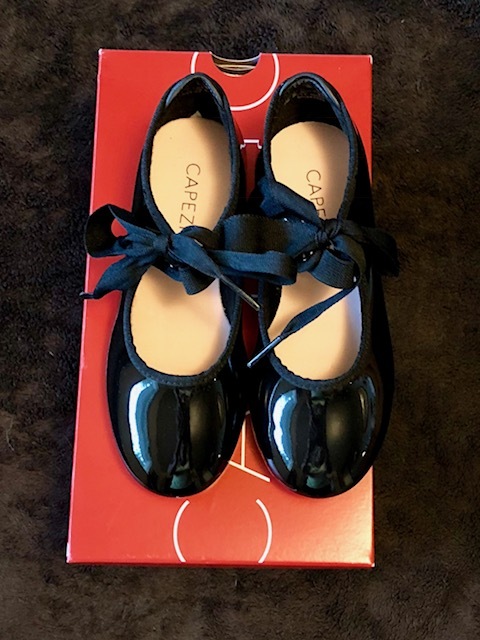 So many of the girls had to borrow tap shoes for the class, but then I went on amazon and scooped up two pairs of Capezio tap shoes. These were the tap shoes that the teacher recommended and the girls already love them. What is nice about these shoes is there is an elastic band that goes over the foot and then a ribbon to tie over it. This keeps the shoe on, but still look cute. Plus the girls said they were comfy. Who knows if that is true, but they already love them. FOUR. I have mentioned health insurance a few times on my blog, but I am going to mention it again. I am very thankful to have a job that provides insurance. Sure it isn't as great as it used to be (like when I started 12 years ago), but it is pretty good. Let me back up a bit. When I first started my job, I got PPO plan which was pay 20% and no monthly premium. I got this since I was single. I had knee surgery not long after I started my job and I paid 20% of the surgery which was around $1,500. This included all equipment, pre-ops, post-ops, MRIs, etc. Then I changed insurances to our HMO plan since we were planning on having kids. This meant a higher monthly premium (but only about $150 per month) and then just a standard co-pay per visit. This plan saved our butts since I had twins, they ended up in the NICU for 4 weeks and then all the visits for the year after. The girls NICU cost over $250,000 alone. We paid $1,000 ($500 for each baby). When the girls were 2, I changed back to the PPO plan since we didn't use the insurance that much from year 1 to 2. I stayed on this for two years. This is also when Sutton bit through her lip. We had to pay for the entire ER visit and doctor visits out of pocket since the deductible for family is sooooo high. So when it came to deciding our new insurance for the year, we decided to go back to the HMO plan (or the new version of it). It is a higher premium (around $280 per month for the girls and I), but the same co-pays for each visit. What I am getting at is, since we changed to the new insurance, I pay more monthly (Rory helps out with the girls portion), but have standard co-pays now. My nose surgery was billed at $26,000 (and change) and I paid $350. That is amazing. And now my nose is recovering and I will soon be able to breathe better than ever. Fingers crossed. FIVE. 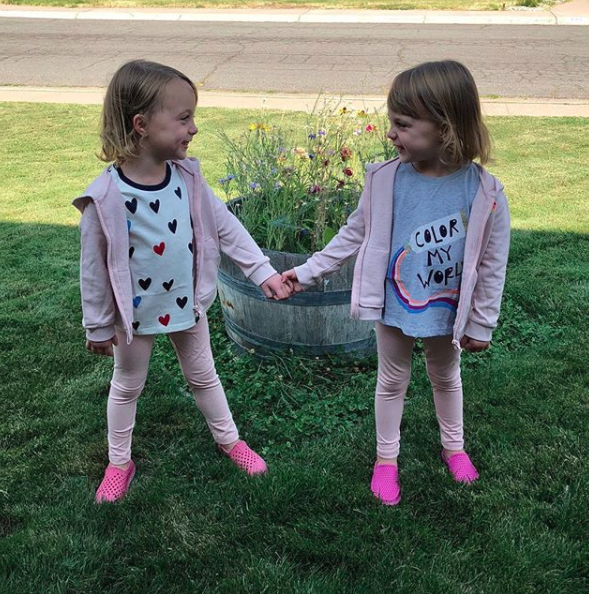 This week I posted an IG photo of the girls in their new Gymboree outfits. I worked with Gymboree and they sent me new clothes for the girls going back to preschool. The girls are obsessed with pink, so I went with pink leggings, pink jackets/zip-ups with a rainbow heart and two different tees. When we got the clothes, the girls tried them on immediately and wanted to wear them. They have been wearing them since the photoshoot and absolutely love them. 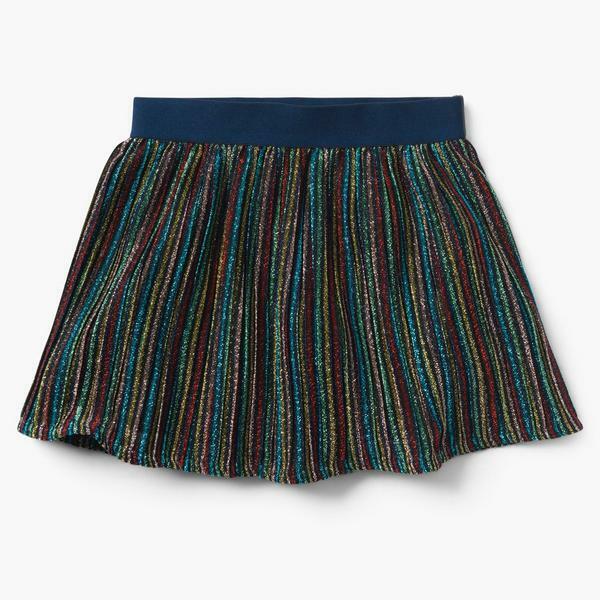 I also wanted to get them these sparkly skirts and a top so they could wear them for family photos later in the year, but Rory said to just wait and get those later. But I definitely want this shirt for the girls. Perfect for the holidays. The girls look so precious in their pink!! What a great photo.... A framer! And LOVE that bikini! Happy weekend babe! I think so too. They are just too cute!!! I love the bikini too. So comfy and not revealing at all. I hope you have a great weekend too! Simon also got Gymboree clothes for a photo on instagram, he looks so cute in his new jeans! Oh that is awesome. I bet he does!!! Your girls look sooo cute in their new outfits! Have a great weekend! Thank you so much. I hope you have a great weekend too! You already know how I feel about health insurance.... it is such a blessing. I have been in the boat of being without good insurance & its a nightmare.CLING to the good stuff!!!! I love you found your trees. That is still just the coolest to me! How fun that you got to work with gymboree, the stuff is so cute! Those tap shoes are adorable! I looked at dance classes here, Zoe can start when shes 2.5 so I will probably go that route too. Hope you have a great weekend! I love their stuff and so do my girls. Oh you should definitely start her then. I hope she loves it too. Have the best weekend! Oh those taps shoes are so cute, gives me so many memories! That is such a good insurance primer, I never look at my choices and need to! Have a great weekend! I love the concept of it. I love seeing them in dance class. Tomorrow is their second one. I hope they still love it. Ha. They took too cute in their outfits. Have a great weekend too! The girls are so sweet holding hands! I have those tap shoes in my Amazon wish list for next year. I was going to get those for Olivia, but Target ended up having her size so we ended up not having to purchase online. Have a great weekend! They really are. I love their bond that they share. Oh I looked at Target, but they didn't have the girls size. Definitely will check next year. I wanted to get a leotard from there, but they have to have a certain one for the first year. Ugh. Ha. Have a great weekend as well! I can't believe that it is almost September too! The year has flown by! I can totally relate about the health insurance! People have told me its not a big deal but I continue to work at the hospital I am in largely because of the great health insurance. 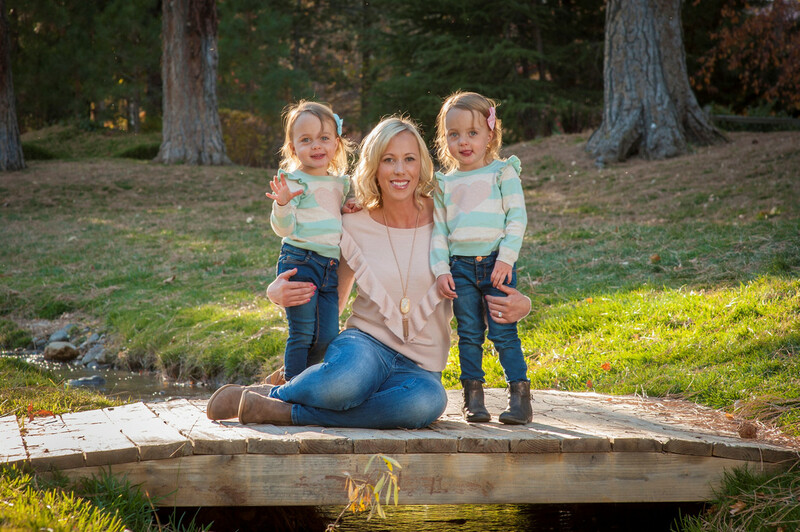 I paid $500 to have my kids and that included prenatal care and delivery. It is a God send for sure!! So happy to see September come! And that bathing suit is super cute! You say they have one pieces? I’ll have to check them out!